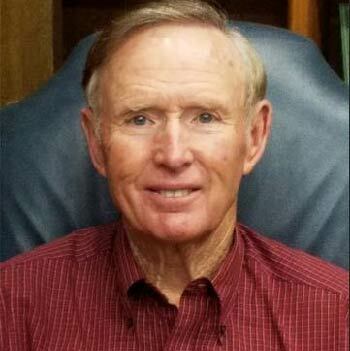 Arthur Rickets is an Agri-Business Specialist with a lifetime of experience in agriculture. He grew up on a peanut farm in southern Oklahoma and has been in the farming and ranching business since early adulthood. Arthur graduated from Oklahoma State University with a degree in business management in the top ten percent of his class. Since graduation, he has been employed as a Human Resources Manager for twelve years and established a crop insurance agency in 1983. He was named Agent of the Year by IGF Insurance Company in 1988. Arthur has been working as a Commercial Agri-business Specialist since 1995 and received his Certified Insurance Counselor designation in 1997. His business includes grain elevators, feed mills, implement dealers, feedlots, food distributors, and retail agribusiness stores throughout Texas and Oklahoma. Arthur has served in many leadership roles over the years including three terms as President of the Love County Chamber of Commerce, President of the Marietta Lions Club, President of the Love County Health Center Foundation and President of the Texoma Peanut Growers Association. On the state level, Arthur has served on the Board of Directors and as President of the Oklahoma Crop Improvement Association which is the state organization in charge of the foundation, registered and certified seed production of the State of Oklahoma.